AnR Travel & Photography is a fully operated, independent, home based travel agency of Evolution Travel powered by Archer Travel Group. AnR Travel & Photography believes in protecting your privacy. We may feature sweepstakes offers on our Web sites. If you enter these sweepstakes, AnR Travel & Photography or our suppliers will hold your registration information. If you win the sweepstakes, we may provide your registration information to a sweepstakes partner company for the purpose of providing you your prize. California law permits customers of Travel Leaders who are California residents to request and receive the identity of any third parties to whom AnR Travel & Photography has disclosed personal information within the previous calendar year, along with the type of personal information disclosed, for the third parties' direct marketing purposes. AnR Travel & Photography, its travel brands, and Good Karm Radio are all U.S. corporations. Our Sites may be hosted on Web servers located in the United States or other countries. Our data and call centers are located in the United States, although we may at times use supplemental facilities located outside of the U.S. We share the personal information we collect with third-party service providers, our Partners, and others around the world as described in this Policy. If we transfer your personal information to another country, we'll take appropriate measures to protect your privacy and personal information. No matter where we transfer your personal information, it will remain subject to the terms of this Policy and your privacy preferences. Thank you for visiting, www.anrtravel.rocks website. We value the opportunity of interaction with our new and old clients, on the internet and AnR Travel & Photography is committed to protecting and safeguarding your privacy. We do not and will not, sell or disclose to any third party any form of Personally Identifiable Information (PII) without your consent. As well, we will not disclose or make available any PII to any third parties seeking to market third party products without your consent. When you visit www.anrtravel.rocks, we collect two types of information: personal information you actively choose to disclose (“Active Information”) and use information collected, in a way not visible to you, on an aggregate anonymous basis as you and other users browse our site (Passive Information”). 1. Personally, Identifiable Information: This refers to information that lets us know specifically about you i.e. first and last name and/or email address. This PII information is securely stored and may be accessed on our website. A. Ordering: When you place an order for services or vacation package, we collect Personal Identifiable Information, so that we can process your payment, deliver your order and to communicate the status of your purchase. B. Credit Card Storage: Credit Card information collected at registration or for product orders is used only to process payment for the transaction and, generally, is not retained on our Site. However, you may voluntarily elect AnR Travel to securely store multiple credit cards to be used for package purchase through “said” vendors. C.	Surveys and Promotions: Occasionally, you may voluntarily provide PII to complete surveys and/or questionnaires or to participate in our polls. We use this information to improve our services and to ensure that we’re providing accurate disclosures. We may also use you PII to provide you publications and other marketing information that coincide with your preferences. You can always inform AnR Travel in writing at anrvacations@gmail.com, if you do not wish to receive any promotional materials via email. 2. Aggregate Information: This refers to information that does not, by itself, identify you as a specific individual. Such information would include the Uniform Resource Locator (“URL”) of the website that referred you to our Site, your Internet Protocol (“IP”) address (a number automatically assigned to your computer whenever you surf the web), you operating system and browser type, and any search terms that you enter on our Site. Our web server aggregates this information to monitor the level of activity on our Site, evaluate its effectiveness, and improve the content or our Site in or to make your visit an easy and enjoyable experience. We may collect, compile, store, publish, promote, report, or otherwise disclose or use any Aggregate Information, provided that such information does not personally identify you. We do not correlate any PII with the AI that we collect on our Site. If we do correlate any AI to you, it will be protected like any other PII under this Policy Statement. 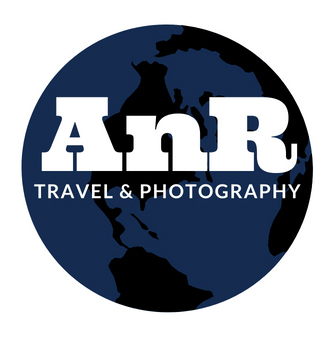 To subscribe to AnR Travel & Photography’s newsletters, email list, we require you to disclose the following information: Name, email address, contact number. We use secure socket layer (SSL) encryption to protect the transmission of the information you submit to us when you use our secure online forms. The information you provide to us is stored securely. Providing customer support and making available other products or services we think might be of interest to our clients. We may use the Active Information or Passive Information you provide to contact you about various changes to new services, features or products we offer. It at any time you do not wish to receive such information, you may “opt-out” of doing so by emailing us at anrvacations@gmail.com. We use Passive Information to gather information about our clients to enhance our site to make it easier, faster and friendlier for users. Additionally, cookies help us better our services. Passive Information may result in your viewing of particular advertising based on your user habits. Passive Information Collected: What is Cookies? Cookies are a feature of web browser software that allows web servers to recognize the computer used to access a site. They are small pieces of data stored by a user’s browser to simplify subsequent interactions with the site. This makes it easier for a user to move from site to site and to complete transactions over the internet. Cookies should make your online experience easier and more personalized. Our site utilizes cookies to collect information about how our site is used. Passive Information gathered may include the date and time of visits, the site pages viewed, time spent at our site, the sites visited just before and just after visiting our site. If you do not wish to transmit “cookie” information about yourself, you may turn off the cookie function in your web browser. Our site’s servers also automatically identify your computer by its Internet Protocol address, which is a unique string of numbers that are assigned to your computer by your Internet Service Provider. The IP address may be used to address problems with our server or to gather broad demographic information about our users. We passively collect your IP address. We may disclose anonymous information about user’s habits to advertisers on our site. The parties who perform services for us (credit card processors, merchant bank, Internet Service Provider) may also have access to your information in performing such services. Should we buy or sell assets of our company, other company may need to review our company’s assets, which might include your information, to make business decisions as to whether to acquire such assets. We may be requiring by subpoena, law or government agency to disclose both Active and Passive Information you have provided us. We secure your personal information submitted by you by using reasonable efforts to prevent unauthorized access or disclosure, or accidental loss of Active and Passive Information. Individual postings on this site and other communications ot our office via email or standard mail may not be secure unless we advise you that security measures are in place prior to your submission of information. Therefore, if you choose to communicate with s through these means, you are assuming the risk if doing so and we respectfully request that you not send or post sensitive information through these means. We take special care to protect the privacy needs of children and encourage the parents to be an active participant in their child’s online activities. Our site does not target and is not intended for children un the age of 18, and we will not knowingly collect Personally Identifiable Information from them. If we discover personal data from a chld through our site, we will eliminate that data. You may learn more about protecting children’s privacy by visiting: http://www.ftc.gov/bcp/edu/pubs/consumer/tech/tec08.shtm. Any updates or changes to the terms of this Privacy Statement will be posted on our Site and the date of the newest version posted below. Please check back frequently, especially before you submit any Personal Identifiable Information at our Site, to see if this Privacy Statement has changed. By using our Site, you acknowledge acceptance of this Privacy Statement in effect at the time of use.